Nowadays, more and more bright minds try their luck in the business industry. Business is a very vast industry. There are many directions one may choose to develop and promote one’s ideas and concepts. Accordingly, an entrepreneur has a chance to realize merely any idea. Of course, one should take into consideration multiple things that affect this or that industry. It is important to promote a product or service, which is popular. However, this is only one of the various possible obstacles. The first thing you need is a plan. Business planning is of great importance. Every piece of writing is supposed to have a plan. It contains the main stages of writing. It’s understood that a business plan differs from a common academic assignment. This kind of writing should include the main concepts and stages of the development of your business. An entrepreneur ought to take into account lots of factors to compose an effective outline. Effective measures to overcome problems, etc. These are only a few points that should be included in your planning. Of course, there are many more. In addition, one may have some problems with writing. Not all people are talented in writing and planning. Nonetheless, this is important. You cannot have a plan that looks nothing more than a mess written by a child. Other people, such as probable business partners, will read your campaign intentions. They should be composed professionally. Thus, your partners will realize that they collaborate with an educated and smart person. Under the condition, you don’t know how to compose an effective business plan, hire a professional writer. This is one of the most popular ways to deal out similar issues. Professional writers offer high-quality services and can meet all your demands. 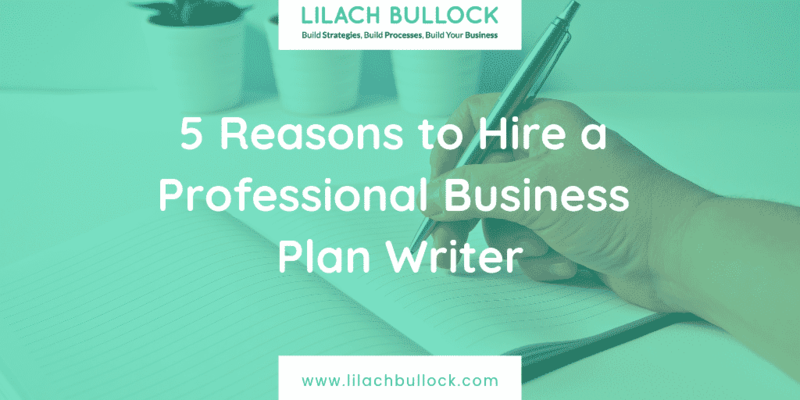 There are at least 5 huge reasons you should hire a professional business plan writer. Hereafter, we’ll shed more light on all these points. Thus, you’ll realize how helpful such an assistant may prove to be. Speed is very important for the current business industry. This industry develops at a great tempo and those who are slow get knocked out of the competition. You should develop pretty fast but not too hasty. Success and money do not come in one day. A professional writer understands that a plan should be composed quickly. The professional writing skills, great knowledge in this sphere allow finding and using the most effective writing strategies. Accordingly, you will receive a qualified plan within the shortest period of time. If you hire a certificated and talented writer, your plan will be perfectly composed. Such people have an individual approach to their orders. They conduct in-depth research on every aspect of your business direction. Thus, they will define how to advertise your product or service. Will identify the main targeted audience and will show how to attract potential buyers. They can even predict the possible obstacles that threaten your advancement. This is one of the keys to your success. An expert will not miss a single spot. These folks are attentive with the details and your plan will not be filled with gaps. It will be stuffed with the most important and effective ideas and stages that help to promote your business project. Professional business plan writers pay attention to the slightest details and will include them all to their writing. Moreover, you may ask them to cover every aspect with a smaller plan. For example, you understand that the implementation of any project has certain drawbacks. Ask your writer to compose a detailed description of all possible obstacles that may interfere with the implementation of your product/service. Additionally, they can provide details on how to cope with those obstacles. Another point associated with time is the schedule. You ought to be quick at making decisions, which are correct and effective. You cannot harm your own business. Sometimes, you need instant help. Make sure your personal assistant will be available when it’s needed. Once you hire a personal assistant, determine active hours. This will be a period when you will get in touch with your helper. This may be only once per day or several times. During those sessions, an entrepreneur can discuss the latest changes and demands related to his or her business sphere. We advise getting in touch with your helper every day. Why is it so important? Business may be unpredictable. You may have some unexpected troubles. Accordingly, it’s better to have the possibility to discuss them as quickly as possible. Don’t forget that time means a lot. Besides, you should contact your helper on a daily basis to be sure that he or she fulfils his/her work properly. Request daily reports on the progress of business plan writing. Another great advantage of hiring a personal writer is an adaptive style. A really competent and experienced writer is able to deal with whatever task is assigned. As it has been already told, a business may take you by a surprise and sometimes, such surprises beat the surface from your feet. Be ready for unexpected and unpleasant changes. Your plan may need immediate changes to avoid problems and bankruptcy. A professional writer is not afraid of such changes. Great professionals can easily fix what’s wrong. For example, if you have decided to promote your business through social media but it doesn’t work you should choose another method. Thus, your helper can offer to use search engines, websites of your business partners or even your competitors. Such a helper will know for sure how to adapt to sudden alterations to reap benefits for you. How to Choose a Professional Writer? It goes beyond all doubts that you must be 100% sure that your business plan writer is professional and reliable to deliver your project within the deadline you need. Verify the official information about the anticipated assistant. He or she is obliged to provide official documents that prove his/her qualification. It’s better to hire experts who already have a successful practice in dealing with business planning. This provides you with a possibility to learn from the experience of the previous employers. Ask for recommendations. Do not underestimate the importance of a job interview. Meet with the candidate in person or at least via Skype. This will help you to learn more about the potential assistant. Put reasonable questions about his/her practice, background, professional skills, and personal traits. You ought to be sure that you will collaborate with a responsible, wise, and diligent worker. If you don’t know where to find writers, we can help you as well. Surf the Internet and find special advertising websites that offer all kinds of jobs or find a specific resource, which provides data about business plan writers. Read customers’ testimonials to understand whether a candidate is worth a try and hire the most suitable one.